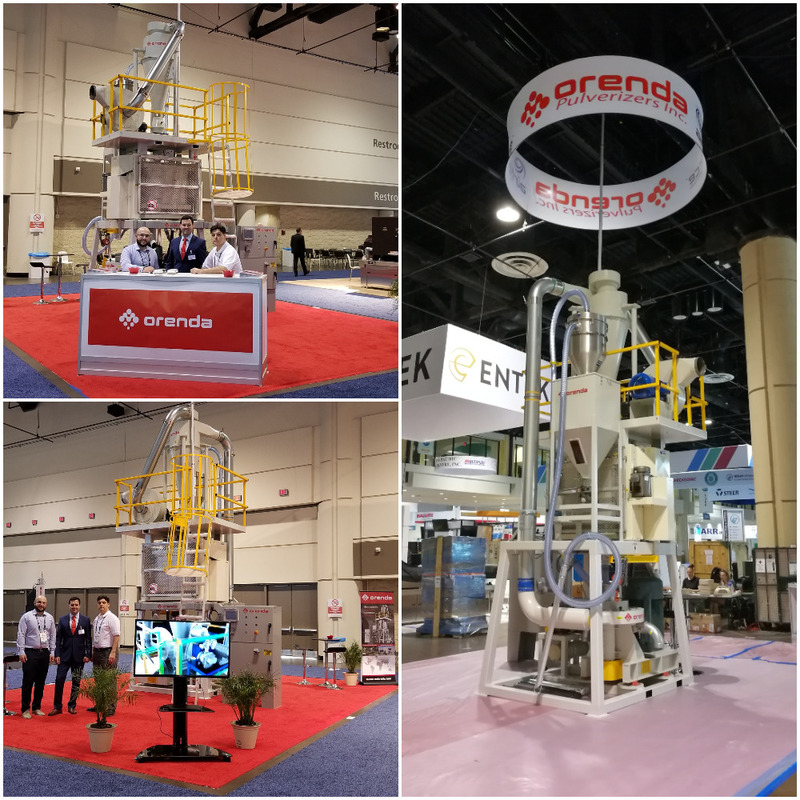 NPE 2018 - Orenda Pulverizers Inc.
May 7th to 11th, 2018, our international sales team was in sunny Orlando, Florida at the Orange County Convention Center for NPE 2018. NPE is the world’s leading plastics trade show and conference, organized by the Plastics Industry Association. It’s such a great trade show because it’s a chance for various companies around the world to gather in one venue and showcase their products. It’s also an opportunity for business’s to discover up and coming technologies that will be shaping the future of the plastics industry in the years to come. We would like to thank everyone that stopped by our booth at NPE. It was a great opportunity for Orenda to showcase our AF H1D500 and discuss the many advantages of AirForce™ Technology. We met a lot of wonderful people, from all over the world that we can’t wait to work with. See you at NPE 2021!